CANADA: Wave, tidal, and river current energy association Marine Renewables Canada has decided to include offshore wind power in its mandate. Marine Renewable Canada represents technology and project developers, utilities, and researchers in the marine energy sector — and will now represent the wind power industry. It "aligns industry, academia and government" to boost Canada’s wave, tidal and river current energy sectors, according to its website. The association argued that Canada’s long coastlines created "huge potential" for offshore wind development, and that, like offshore wind, the marine and offshore industries it already represents, operate in "harsh marine environments". It stated it now "plans to focus on similarities and synergies of the resources in order to advance the (marine energy) sector as a whole and ensure than clean electricity from waves, tides, rivers and offshore wind plat a significant role in Canada’s low-carbon future". Tim Brownlow, the group’s chair, explained: "Many of our members working on tidal and wave energy projects also have expertise that can service offshore wind projects both domestically and internationally. "For us, offshore wind is a natural fit and our involvement will help ensure that Canadian companies and researchers are gaining knowledge and opportunities in the offshore wind sector as it grows." Marine Renewable Canada counts energy investor Emera and Northland Power as members. 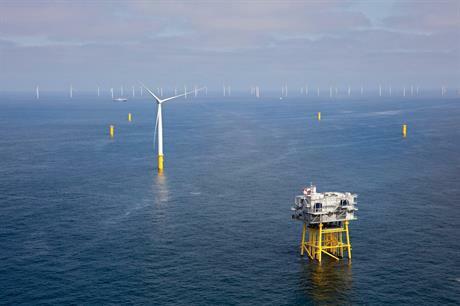 Emera bid 1.2GW of projects into Massachusetts’ request for proposals (RFP) in August, while Northland Power partly owns the 332MW Nordsee One and 600MW Gemini projects in the German and Dutch North Sea respectively, and is developing 1.2GW of sites off the coast of Taiwan. As of 1 February, Canada had 12,388MW of installed wind capacity, all of which is onshore, according to Windpower Intelligence, the research and data division of Windpower Monthly.